Brother HL-2240 is one of the most affordable and reliable personal and home office printers in the market. 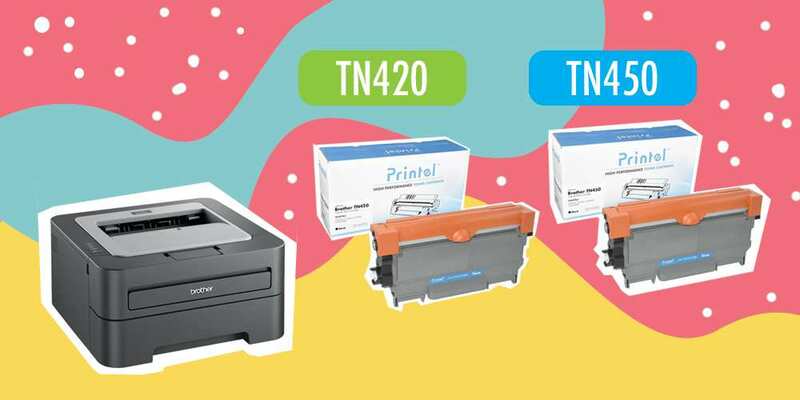 Save more money with TN420 and TN450 toner cartridges by Printel. Brother HL-2240 is one of the most affordable and reliable personal and home office printers out there in the market. It is a super budget buy monochrome printer that stands out by its crisp print output, reasonable running costs and a low price of only less 100 bucks purchase price. HL-2240 offers fast printing at up to 24 pages per minute with high resolution of 2400X600 DPI. It produces professional-looking letters, reports, spreadsheets and other documents. Like other entry-level models in the Brother range, the HL-2240 is very small and square. It measures just 368mm by 183mm by 360mm. It comes with an adjustable 250-sheet capacity paper tray. Design-wise, it fits virtually anywhere and complements office environment. HL-2240's black and grey colour scheme looks professional and stylish. Brother HL-2240 was introduced in 2010 as one of the lower end model of the Brother printer series. Other printers in the same series includes the bells and whitles such as duplexing, Ethernet and Wi-Fi features. Brother HL-2240 stays to the basics. It connects only by USB cable, which is exactly what makes it a decidely personal printer. Staying with the bascis helps keep the price down. There is absolutely no point in paying for the extra features that you don't need. Both TN-420 and TN-450 toner cartridges work with HL-2240 printer. Actually TN-420 and TN-450 are interchangable toner cartridges and work with exactly the same group of brother printers. The only difference is that TN-420 Toner cartridge is low-yield while TN-450 Toner Cartridge is high-yield. TN-420 toner cartridge's page yield is up to 1,300 pages while TN-450 can print up to 2,600 pages. If you purchase toner cartridges from Brother, here is your cost breakdown. With Brother TN-420 priced at $40 per cartridge, your cost per page is 3.3 cents. If you use TN-450 toner cartidge, the cost per page is only 2 cents. The cost different is obvious. TN-450 is more cost effective solution. Choosing TN-450 not only allows you to save money but it is also a greener option and helps save environment. The less cartridges you use, the less oil being converted to plastic parts for manufacturing the cartridge and less CO2 or Carbon Dioxide being emitted into the the atmosphere, and less landfill generated. Therefore TN450 cartridge is a definitely more efficient solution both economically and environmentally. The real deal has yet to be unveiled yet. At Printel, we have our own branded TN420 and TN450 replacement toner cartridges for the original Brother cartridges. Our cost is only a fraction compared to OEM Brother. Take a look at the number yourself. As you may have noticied, both our TN420 toner cartridge and TN450 toner cartridges are the high yield type, with a page yield of up to 2,600 pages.